On our first Friday home after our Italy trip… It had been a few weeks since we saw our friends Dave and Heather so we decided to invite them over for dinner and share a glass of wine while we talked about our trip. The gals prepared some delicious Fajitas and David and I decided to pair the meal with a bottle of Kunde 2009 Zinfandel. As we were eating, I posted a picture of the Kunde bottle with our glasses on Face Book as I thought the picture turned out pretty good. After dinner was done and all cleaned up we moved to the living room to visit and relax. Finishing up our last glass of vino, I wanted to end the night with a port or dessert wine, so Dave and I ventured down to the cellar to see what I had. After a few minutes we agreed it would be nice to share the Kunde 1904 Non Vintage Dessert Cuvee. The image behind the bottle is a beautiful plate that Chris and I purchased while we were in the town of Orvieto, Italy. I grabbed four port glasses and we ventured back to the kitchen where I removed the wax on the neck of the bottle and pulled the cork. I poured each of us a glass, took this great picture and shared the Dessert Cuvee. I grabbed my tasting notes and the four of us rated the Kunde 1904 Dessert Cuvee. Here are our combined tasting notes. The color was medium with a nice Garnet Hue. The Cuvee was very clear with no sediment in our glasses. The aroma was moderate and smelled middle aged. We noted Caramel, Cherry and Chris and Dave thought Apple. 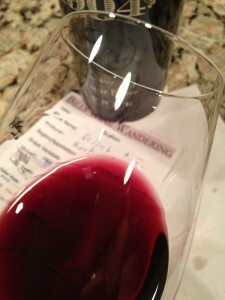 The Cuvee was sweet and medium bodied, while the tannins were light and soft. The Cuvee was very flavorful. We could taste Plums, Raisin, and Dark Chocolate. The finish was medium and very nice. 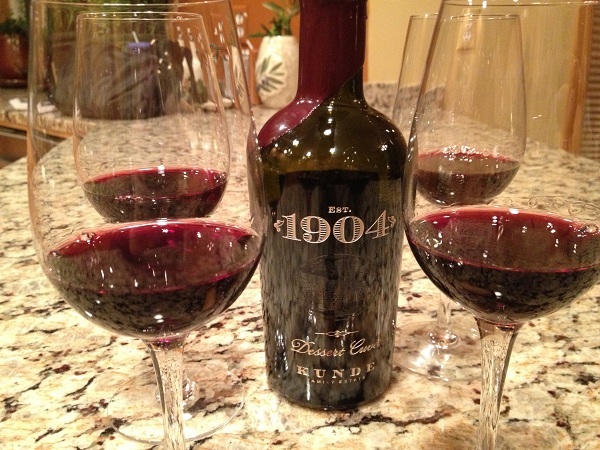 Each of us rated the Kunde 1904 Dessert Cuvee three glasses! 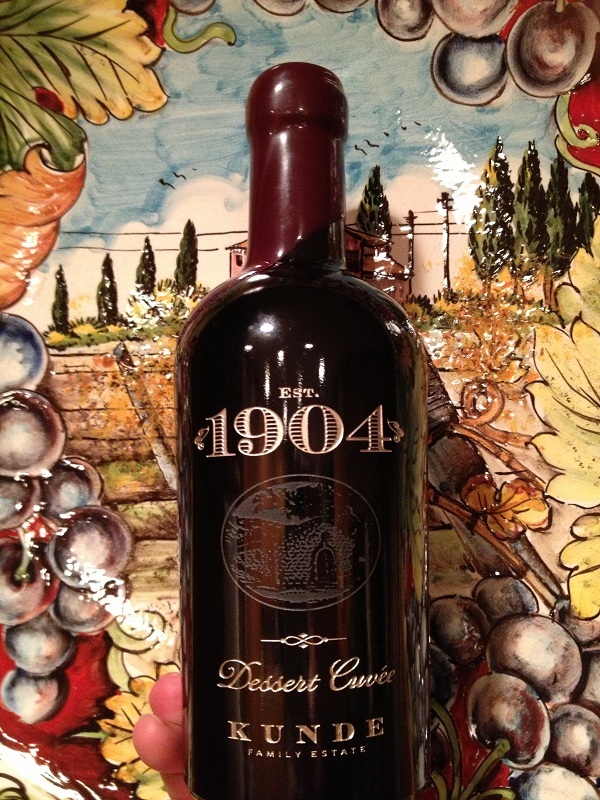 Hi Bill and Chris – a friend of mine just visited the Kunde Vineyard in Sonoma and we just had some of the 1904 Dessert Cuvée last night. Really enjoyed it and saw you had made some notes in one of your newsletters. I have not had many ports but I would love to taste what you think is a 4 or 5 glass rating as I thought this was delicious. Bother suggestions? Thanks for the note. I have written about a few Port wines. If you do a search for “Port” in one of my pages you should see a list. One of my favorites is the 10 and 20 year Taylors Tawny Port.